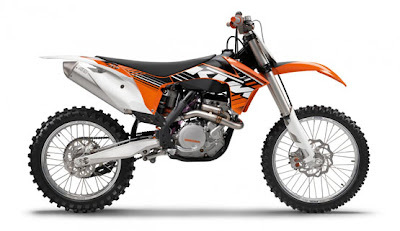 The 2011 KTM 450 is a powerhouse and, for obvious reasons, the 2012 is as well. The two years are not totally identical. 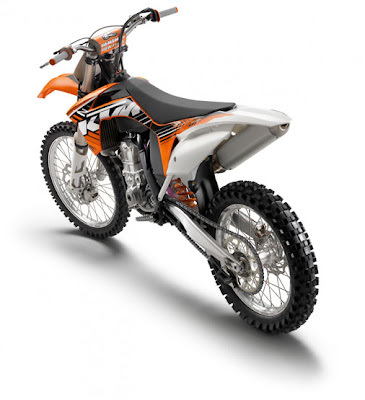 KTM has made several changes in the right direction to address issues that some of us experienced. The most obvious is the new single spring clutch. The basket is a one-piece unit, meaning the outer gear and the basket is all one chunk of carved-out steel. The inner unit has a single diaphragm spring compared to several coil springs. Also, the new 450 SX-F model is now equipped with Dunlop MX51 tires. The pricing is currently around US$8799.